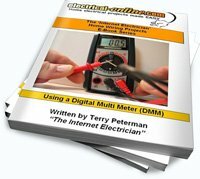 Confused as to which type and size of wire you need to use in your home wiring project? 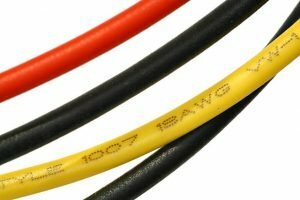 This article discusses the types and uses of common wire and cable used in most homes what you will need to know when selecting cable and wire. The most common type of cable used in houses is technically known as NMD 90 (Non-Metallic Dry service cable rated at maximum of 90 degrees Celsius). It is usually a plastic white covered cable. This cable comes with two or more conductors and includes a ground wire (bare wire). It is commonly known as “Lumex” (or Romex for our American friends). T cable is the most commonly used. When I refer to two (2) conductor Lumex, I really mean one black wire, one white wire and one ground wire. The ground wire is never included in the cable count. In a three conductor Lumex cable you would find one black, one red, one white and a ground wire. In Canada and the United States there is a standard by which we measure wire. This standard is the A.W.G. (American Wire Gauge). The most common size of wire that you will be dealing with is a #14. Wire sizes start at higher numbers such as #24 (small wire) and as the number decreases in value the wire increases in size. The largest wire you will likely need is a #3 gauge. This would be for your incoming service. #14 15 A. 15 A. #12 20 A. 20 A. #10 30 A. 30 A. #8 45 A. 40 A. #6 65 A. 60 A. #3 105 A. 100 A. *All sizes are a maximum value and in accordance with the Canadian Electrical Code. Wire can be either solid of stranded. Most wiring you do in your home will be with solid wire. Solid wire is easier to work with and takes less time to install. You will find stranded wire in extension cords and any wire gauge over a #10. Note: Some electrical jurisdictions require a minimum wire size of #12 A.W.G. and do not allow the use of #14. Check with your local electrical authority to determine if this applies to your area. This entry was posted in Wiring Supplies and tagged A.W.G., American Wire Gauge, amperage, amps, breaker, cable, conductor, gauge, Loomex, NMD90, non-metalic dry, Romex, solid, stranded, volts, wire. Bookmark the permalink.